Aquila Tribblet recently graduated from TEAM Englewood Community Academy in Chicago. 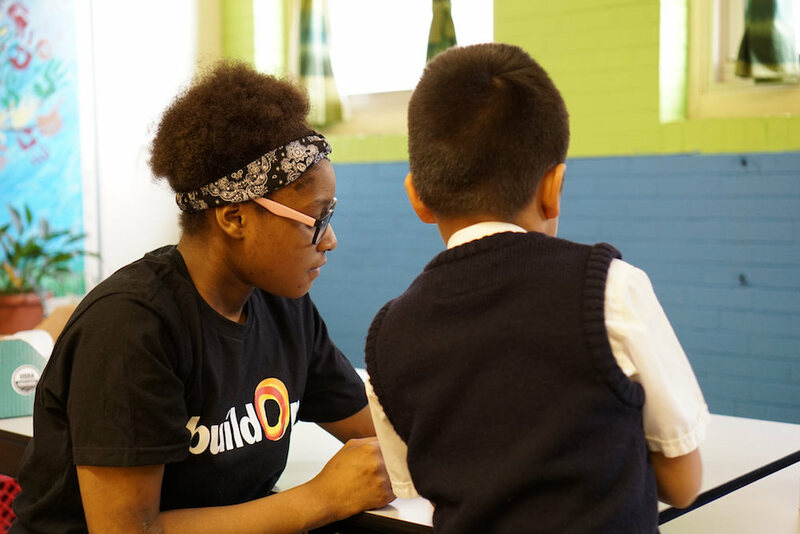 Since joining buildOn as a sophomore, she has dedicated herself to more than 90 hours of service in her Chicago community. Aquila will be attending Kennedy-King College in the fall on a full ride. Two years ago, I couldn’t have imagined sharing my story. I was so shy. But once I started serving with buildOn my sophomore year, it brought out a lot in me. When I do buildOn, I get to be myself. I get to be goofy. I get to be a leader. I also get to change the stereotypes that people have about my community, especially the stereotype that young people in Englewood do not do anything positive or impactful for their Chicago community. Many people believe that we just sit around and do nothing, but in reality we have real jobs after-school and participate in programs like buildOn that allow us to get involved in the community. We are active community members! 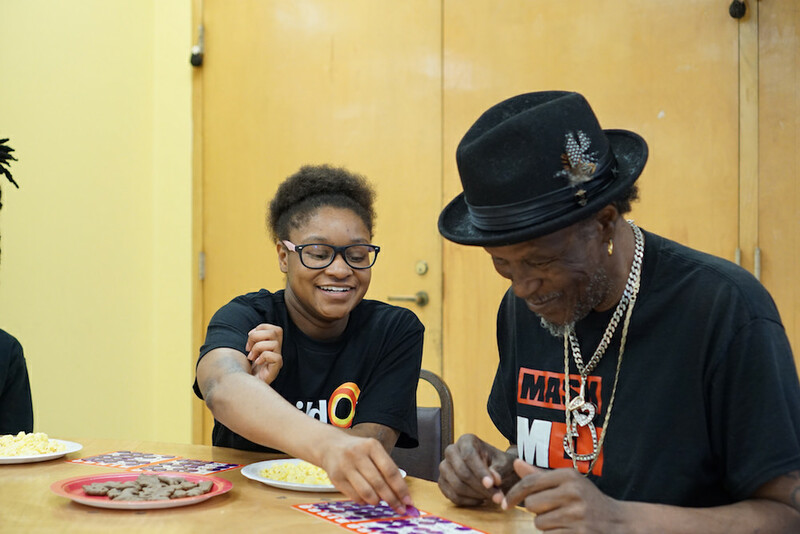 By serving with buildOn, Aquila has given back to her community in multiple ways—she passes out food at food pantries, she spends quality time with senior citizens, and she mentors and tutors young children. Englewood needs active community members because we have challenges. I’ve lived in Englewood my entire life, and with buildOn I get to help the issues I’ve always seen around me, like people destroying the neighborhood by littering, or even more seriously, with violence. A couple of months ago, I was walking down the street going to the store, and there was a shooting right in the alley that I was walking next to. In buildOn, I’ve gotten to participate in several projects that combat these two challenges. buildOn has also opened my eyes to issues I didn’t even know about and has given me an opportunity to help my community in ways I never thought I would. buildOn has also opened my eyes to issues I didn’t even know about and has given me an opportunity to help my community in ways I never thought I would. Before buildOn, I had never fixed food for anyone, but that’s something we do a lot. We even made sandwiches and gave them out to homeless people on the street. I had also never worked with people with disabilities, but when we served at KEEN, I made a friend with one of the kids there. We played together, and he just felt happy. If felt happy, too, because service makes me feel like I’m doing something good in the world, and I feel good about that. Aquila regularly serves at the Vivian Carter Senior Apartments, located just a few blocks away from her high school. One of the best things that I learned through buildOn is that I really like to help senior citizens. We do service at the Vivian Carter Apartments for low-income seniors. We go there every week where we interact with the residents. We play games like BINGO, pass out snacks, and just spend quality time with the seniors. I love this project because I don’t know if I have grandparents as I am adopted, but I really feel like I have grandparents every time I go. I realized I like it so much that I want to go into a field that has to deal with working with senior citizens after I graduate. I also love science and fitness, so I want to be an exercise scientist and help elderly people stay healthy. With buildOn, I’ve also gone to places outside my neighborhood that I have never even seen before. But I’m most happy about how I get to change stereotypes about young people in Englewood. I get to show people that we’re smart, we’re talented and we’re helpful to our city. Luis' Story: "Service Put Me on the Path to Success"